The National Science Foundation (NSF) is the federal government’s primary entity for funding research in science, technology, engineering, and mathematics (STEM). 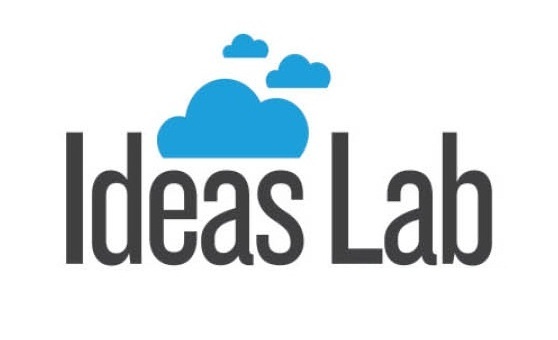 In 2015, NSF created a new funding mechanism called “Ideas Lab,” which has the goal of developing and implementing creative and innovative project ideas that have the potential to change approaches to research and/or solve difficult problems. NSF considers ideas coming out of Ideas Lab meetings as typically high-risk/high-impact, as they represent new and unproven ideas, approaches, and/or technologies. The Ideas Lab funding process was developed collaboratively within NSF, modeled on the “sandpit” workshops that are a key component of the United Kingdom Research Council’s “IDEAs Factory” program. In 2014, the American Society for Engineering Education (ASEE) hosted three pilot Ideas Labs meetings aimed at forming innovative approaches for advancing undergraduate STEM education in three disciplines (geosciences, engineering, and biology). NSF Ideas Lab: Geoscience – March 2 – 7, 2014 – assembled multi-disciplinary expertise in the geosciences to reform undergraduate geoscience education, with the goal of developing essential competencies and skills for the workforce and increasing access for diverse student populations. NSF Ideas Lab: Engineering – March 17 – 21, 2014 – focused on changing the systems in engineering education that contribute to social inequality and on efforts to broaden participation, increase diversity, and improve recruitment and retention of women, minorities, and people with disabilities. NSF Ideas Lab: Biology – March 31 – April 4, 2014 – focused on strategies to integrate quantitative literacy (applying math to real-world problems) into a biology core curriculum and to study its effectiveness and/or impact. Subsequently, ASEE hosted a fourth Ideas Lab from March 20 – 24, 2016 in suburban Washington, D.C. Called Geo Opportunities for Leadership in Diversity (GOLD), the meeting focused on unleashing the potential of geo­scientists with interests in broadening participation to become impactful leaders within the community. Meeting logistics were managed by ASEE, with meetings run by a facilitator with known expertise in guiding the creation of interdisciplinary teams and ideas. Researchers from ASEE attended the first three meetings and recorded meeting processes and outcomes, creating a report that documents the interdisciplinary meeting methodology and describes daily activities and meeting processes of awareness and discovery. These were: problem definition; idea creation; and proposals for scaling innovative ideas and developing tangible proposals. Researchers from ASEE observed participants throughout the meetings and in focus groups, conducted interviews, and administered post-meeting surveys. With these data they identified barriers to interdisciplinary collaboration that arose during the workshops, learned how those barriers were overcome, and came to understand the interdisciplinary group dynamics that led to successfully funded proposals. Final report available here: 2016 Ideas Lab Report .